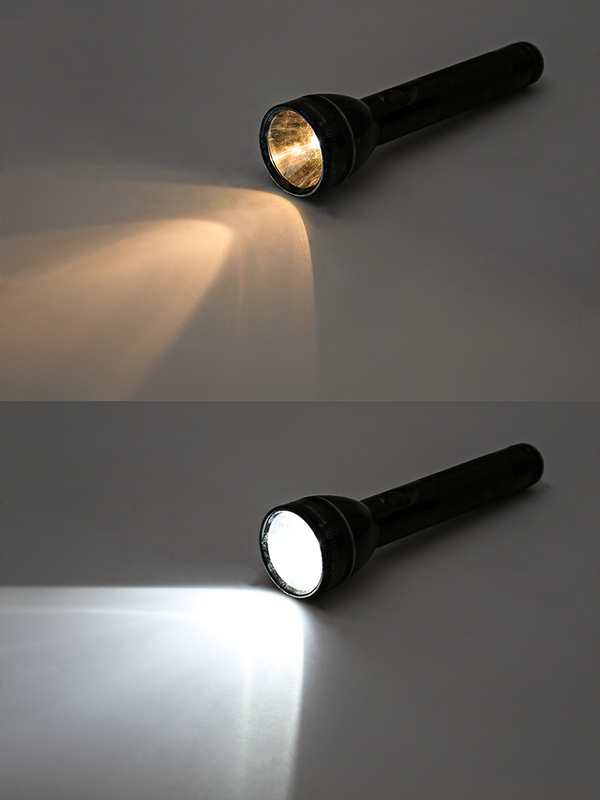 LED Flashlight Bulb: Shown Installed In Flashlight (Bottom) And Compared To Original Incandescent Bulb (Top). 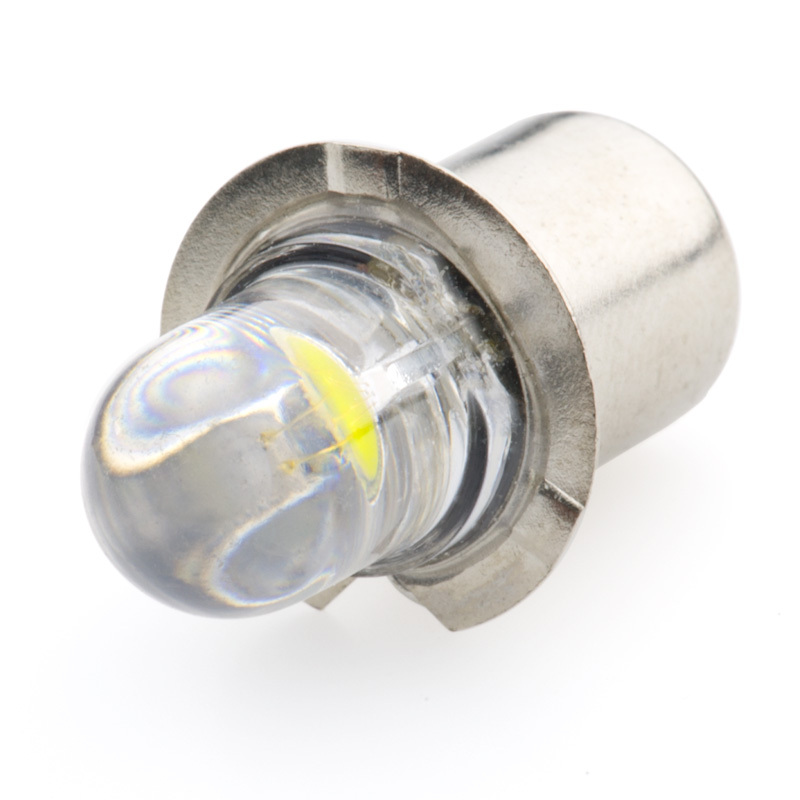 Cool White LED Flange Base Flashlight bulb with Wide Voltage Range. 1 x 1 Watt White LED. Will operate from 1 to 6VDC (1~4 battery cells). 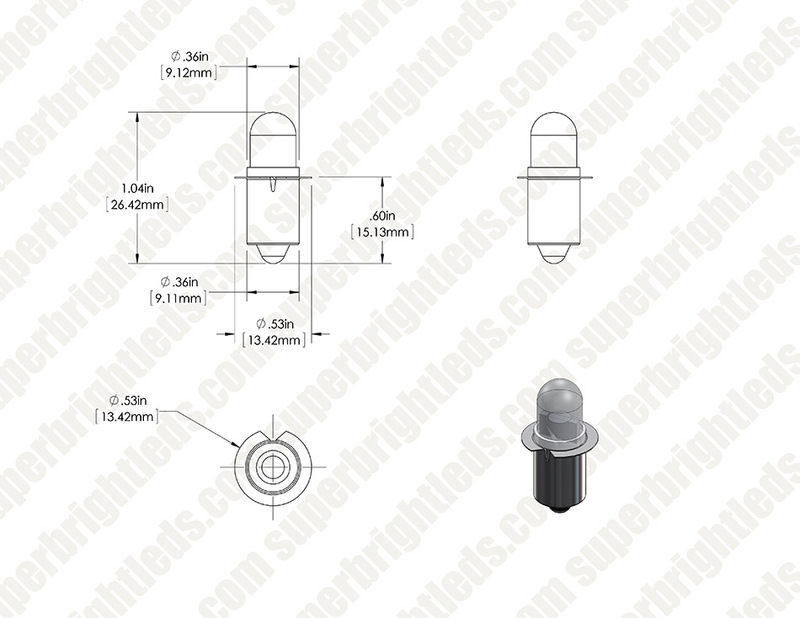 90~200ma, tight 21 degree beam pattern, bottom contact must be connected to positive. Price for each. These aren't nearly as bright as the PR2-.5WHP which only costs a dollar more. What I like about these, however, is since they are such low power, they give usable light from batteries too spent to effectively light a filament-type bulb. In other words, a weak LED that works for a while is better than a filament bulb on low voltage that won't last very long or give off much illumination. 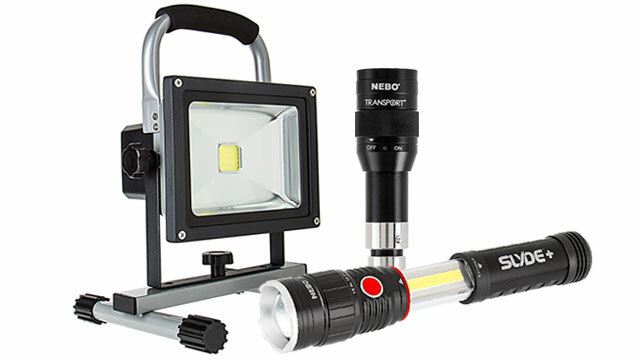 The smaller beam pattern works well as an upgrade to old flashlights with non-adjustable focus. If you don't need a lot of light and want the longest battery life, then these are the ticket. 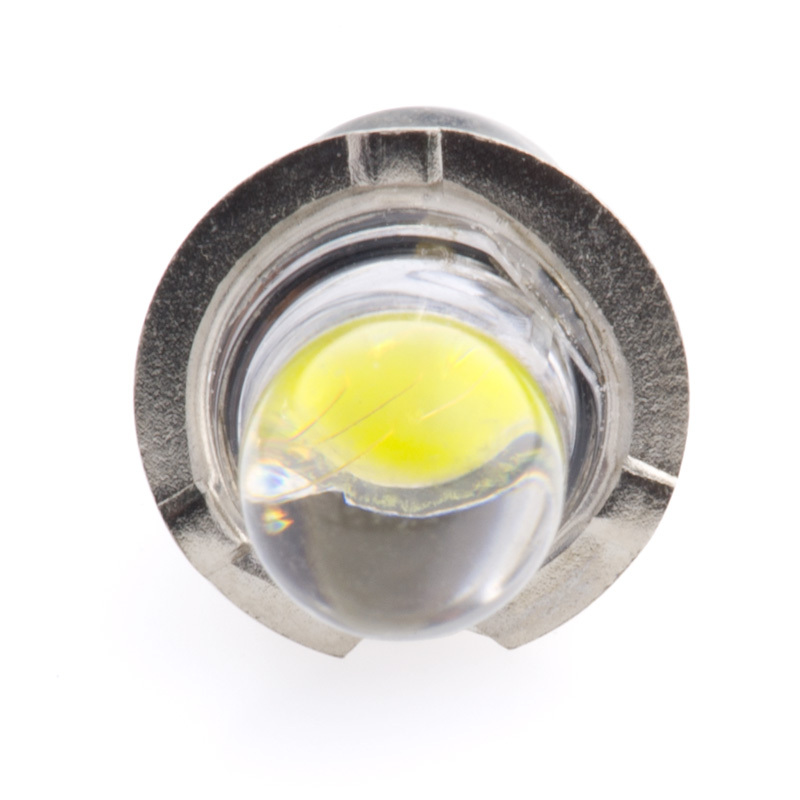 This bulb is polarized to require the battery positive to he shell and battery negative to the center tip. 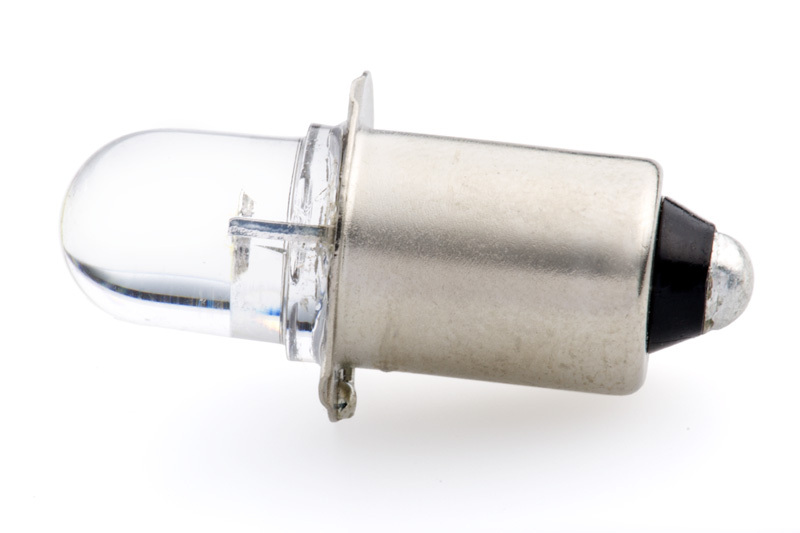 The result is that this bulb will only work in flashlight which direct the battery polarization in that manner. 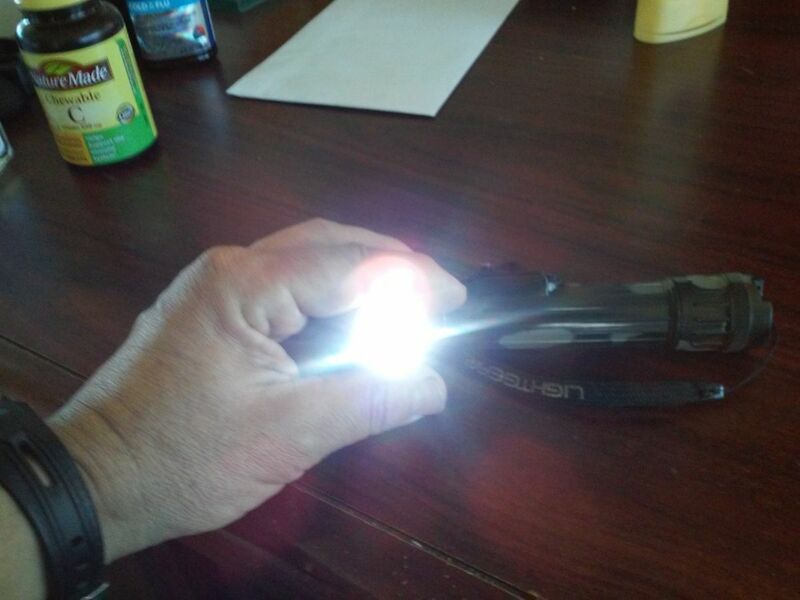 So, I was able to use the bulb in some of my flashlights but would not work in others. If the bulb had been designed with internal steering diodes or a bridge rectifier the bulb would have worked in either flashlight design. 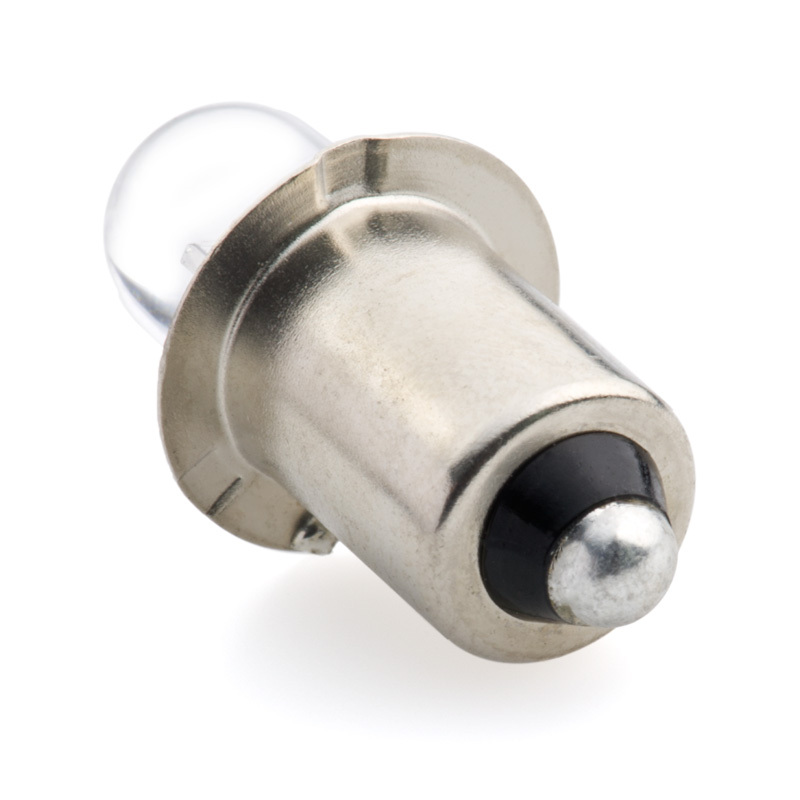 The bulb is polarity sensitive and the center of the base must be connected to the positive connection of a battery. 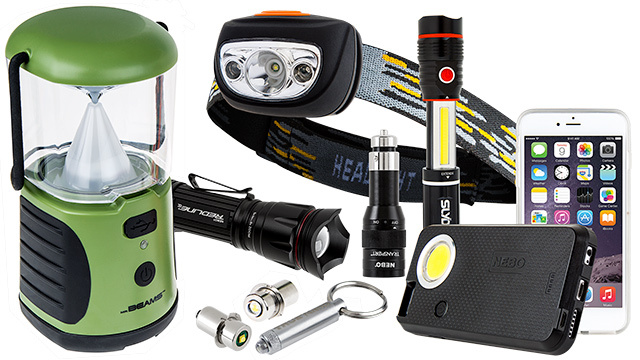 Most flashlights that use AAA, AA,C and D batteries will have the positive terminal on top in the middle and 6 volt lantern batteries will have the negative post in the middle which would prevent the LED from being used in most of the lights using that battery type. Replaced the bulb in flashlight that uses 2 AA batteries. 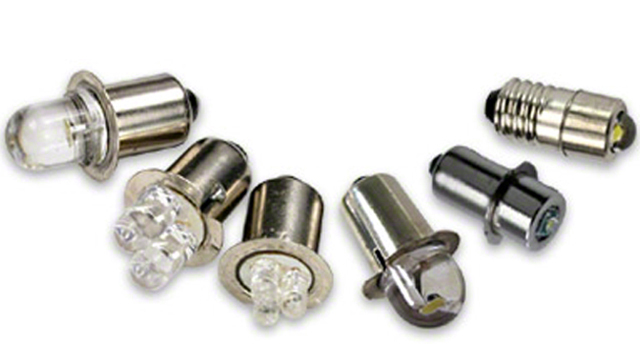 Easy to replace bulb, brighter than original and the batteries should last longer.